Our 12 wines in wicker is a very popular gift. 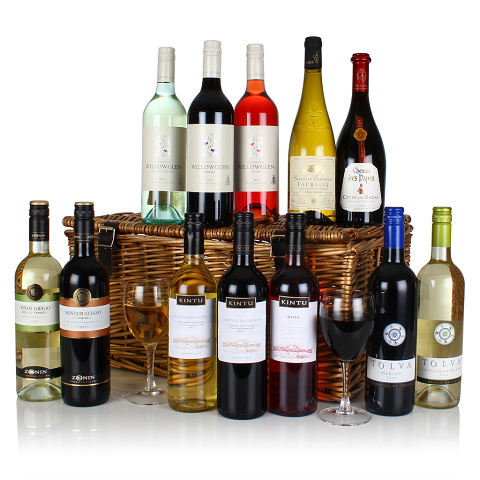 Each wine has been hand selected and included in this traditional hamper on its own merit. Whether you're looking to buy a hamper for a colleague, client or for family and friends, this is an excellent choice that will be enjoyed by all.